Last fall, I decided that I really wanted to focus on introducing a wide range of spring flowering bulbs into my yard. In purchasing these bulbs, I specifically wanted to buy types that I knew would naturalize and multiply. In this, one bulb that I decided to plant was the ‘Harmony’ variety of dwarf dutch iris. 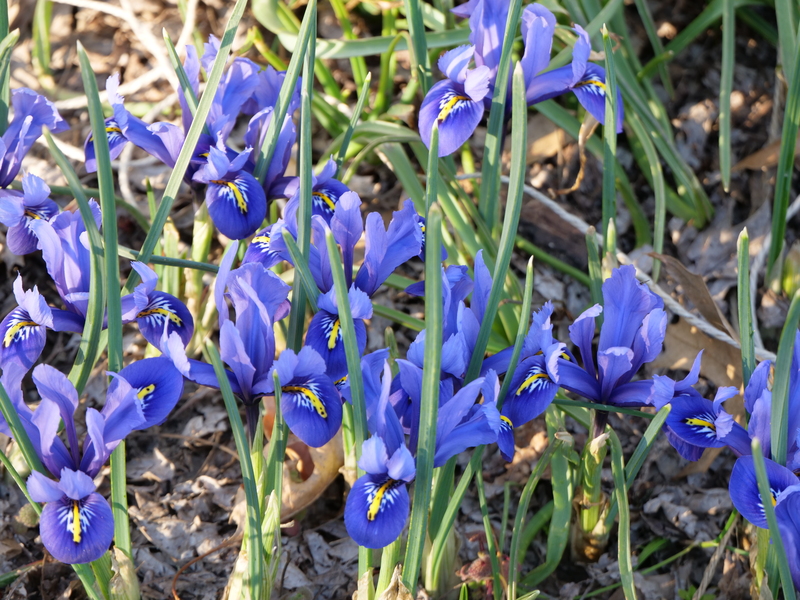 Unlike their taller counterparts, dwarf dutch iris plants bloom extremely early – usually in late winter. For me, these dwarf dutch iris are the very first bulbs to bloom once the weather has warmed up some – they even beat the crocus! I’m so excited to see flowers outside of the hoop house finally starting to bloom. The extended periods of cold and rainy weather has seriously started to take a toll on my mental health. I’m really pleased with this variety for a lot of reasons. I’m so happy that the rabbits and squirrels have decided to leave these bulbs alone. Additionally, I really love how uniform and consistent my little flower patch looks. Every single bulb, of the 25 that I planted, opened within two days of each other. I imagine that making a mass planting of these would be gorgeous. That’s all for this post. I just couldn’t resist sharing a few photos! If you liked this one, be sure to share it on Pinterest. It would really mean alot! Hope you’re having a great day!